To keep over one billion safe. Built over 30000 square metres, the environmentally friendly plant is expected to produce 1.2 billion cans per year and employ 150 people. 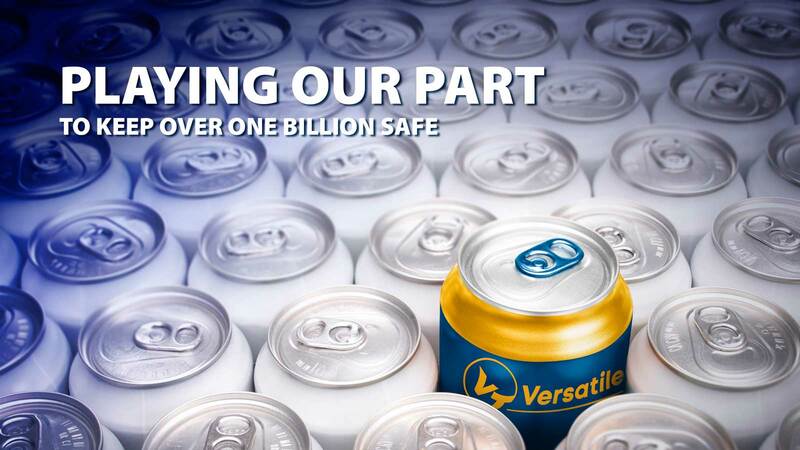 All of us at Versatile Technology are extremely proud to have been chosen to play a small part in this giant achievement by supplying the majority of our high technology fully automatic can and end gauges to monitor their state of the art production lines.